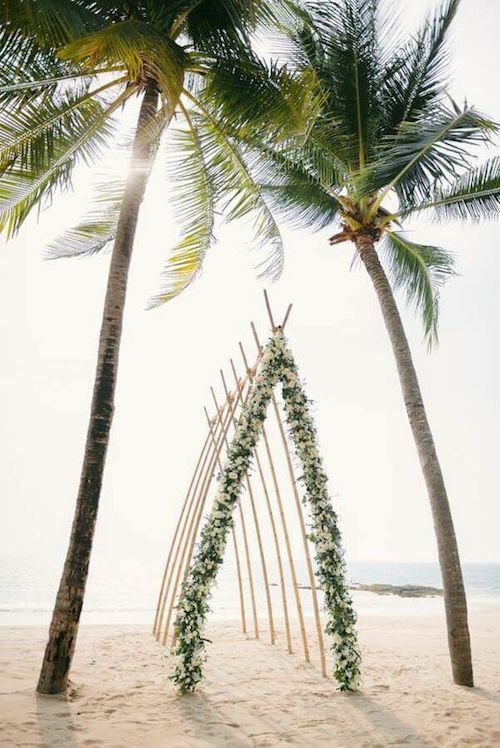 Whimsical modern and ultra chic ceremony arch and backdrop. 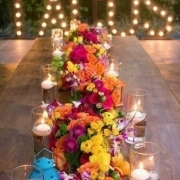 Just picture your wedding day photos. 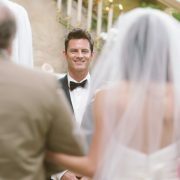 Photo Source: Amy & Jordan Photography. 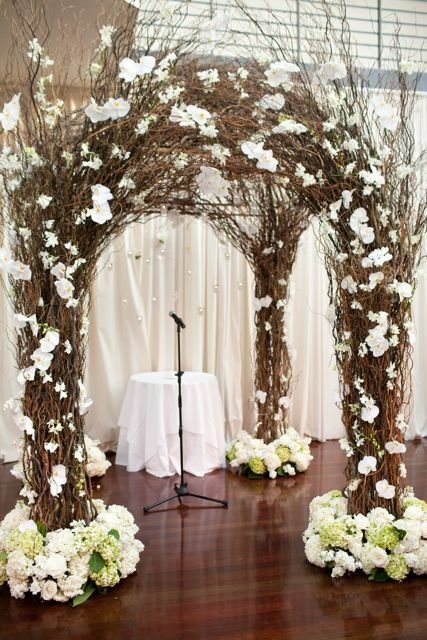 Two pieces of PVC at an angle covered with flowers and greenery for a breathtaking wedding ceremony arch. 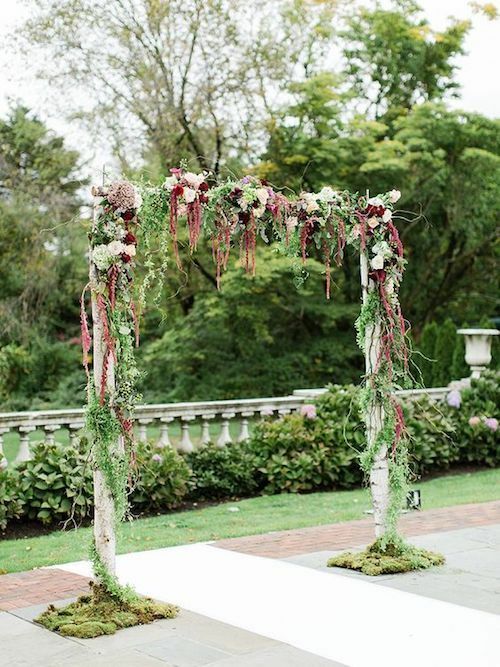 Fairytale-worthy vine and moss draped birchwood arch for an outdoor wedding. 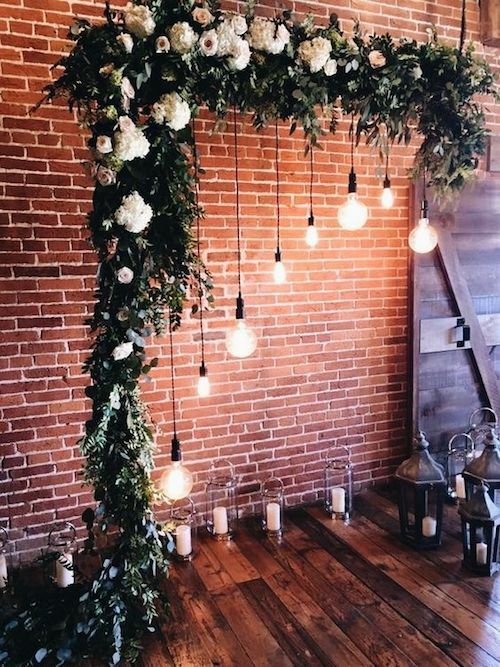 Interlaced bamboo poles and a lovely flower garland make up for a wedding arbor that is fire. Make sure you secure the poles deep inside the sand. 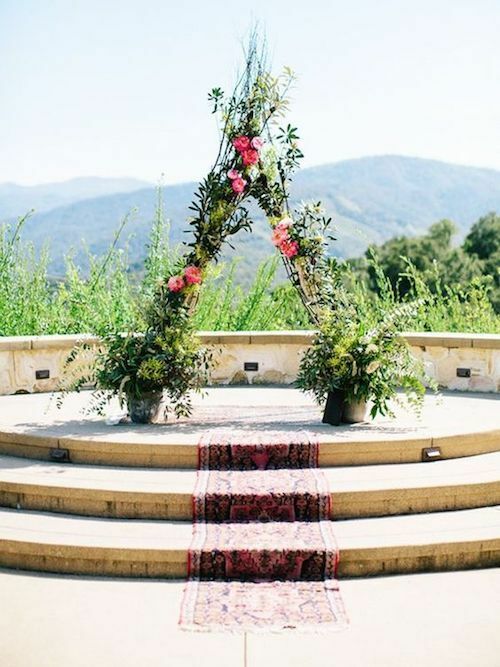 Head over heels in love with this whimsical wedding arbor, and you? 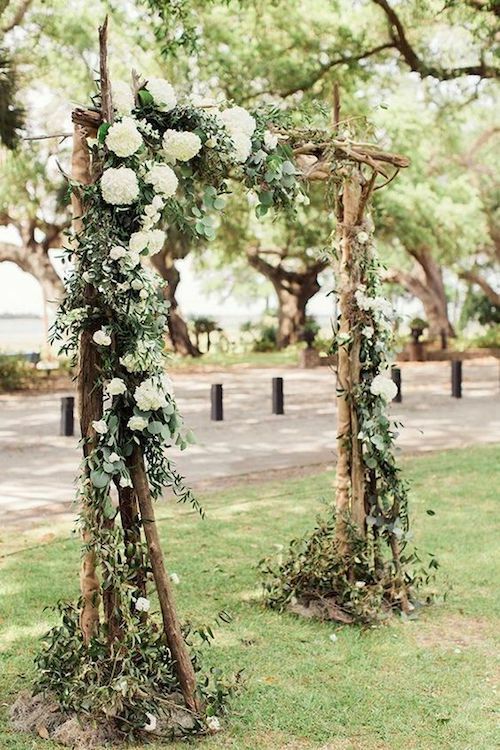 Wedding arch ideas: decorate with Chrisantemums and eucalyptus leaves over a trellis. 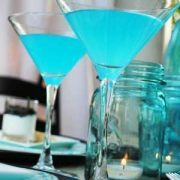 Photography: Melissa Gidney Photography. Photography Assistant: Vanessa Tierney. 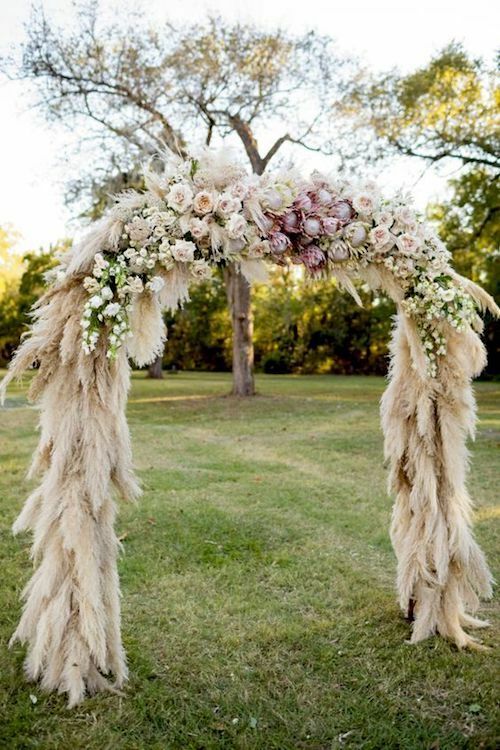 Pampas grass and protea wedding ceremony arch. Photography: Koby Brown. 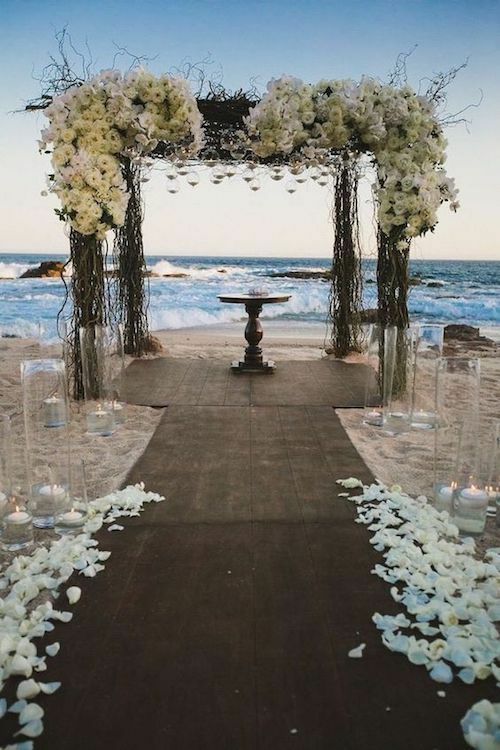 Stunning beach wedding ceremony canopy by Elena Damy. 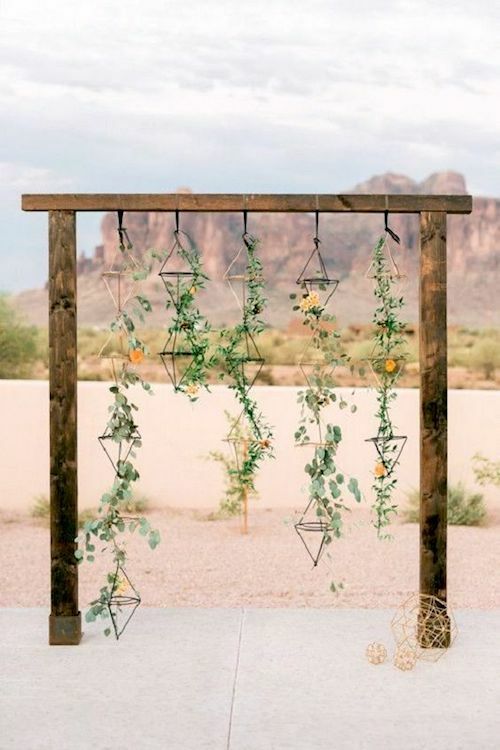 Beautiful and simple arch for tying the knot outdoors. 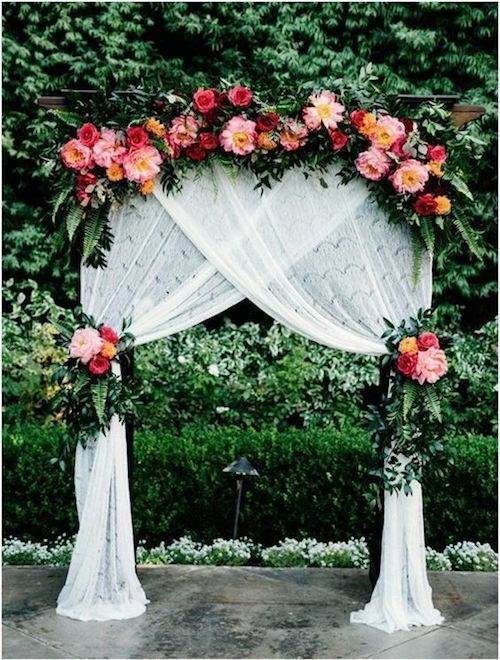 Floral rustic wedding arch ideas for garden weddings. 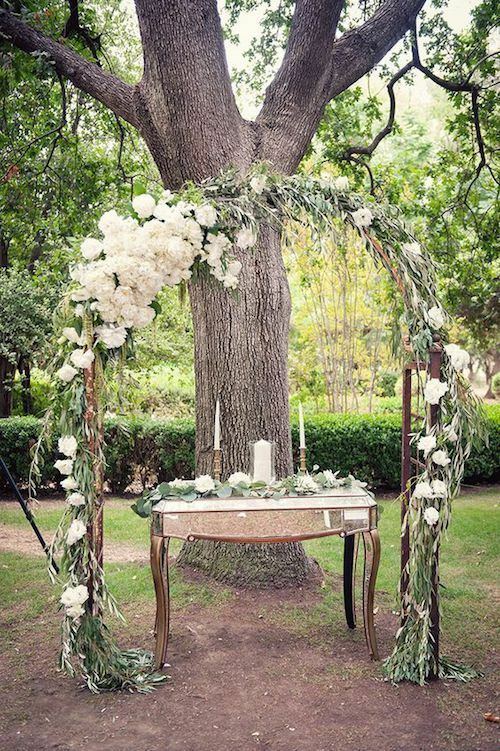 How to build your own Chuppah with PVC pipe, twigs, branches and flowers. 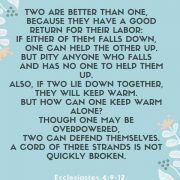 Photo: marymchenry. 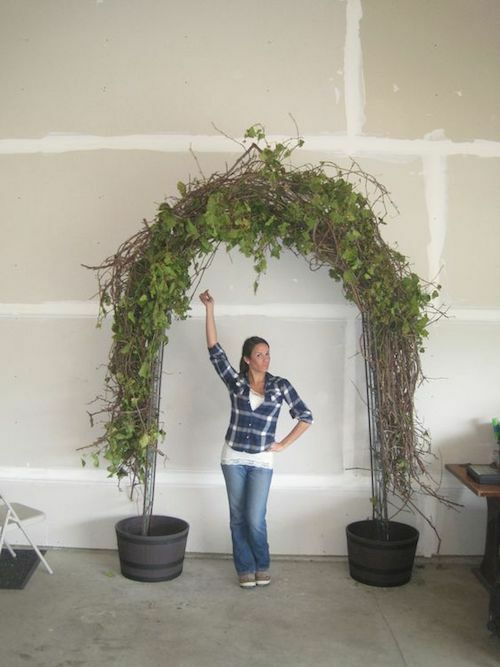 How to make a twig canopy or arbor step by step. 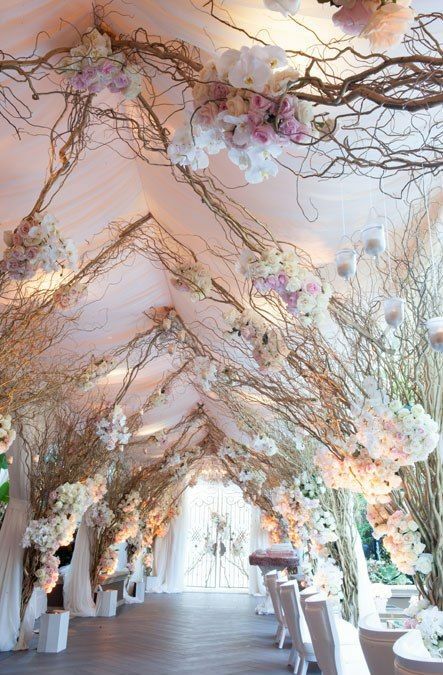 Talk about an entrance for your big day! 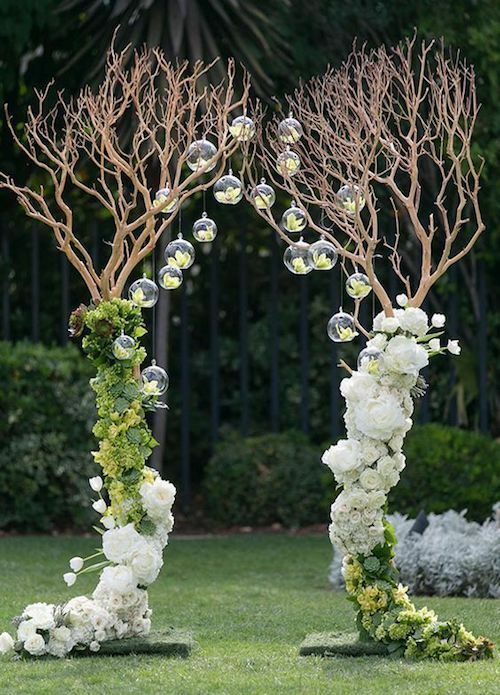 Willow branches and blooms creation by Mandy Bryant Dewey Seasons Hotel Los Angeles at Beverly Hills wedding. 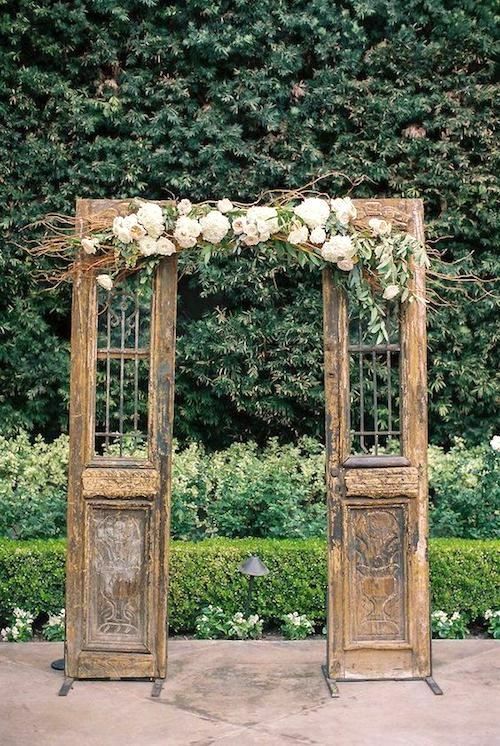 Original wooden doors with center florals for a ceremony arch. 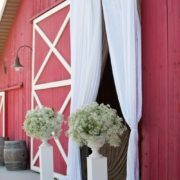 Unique outdoor floral and fabric wedding altar and ceremony arch ideas. 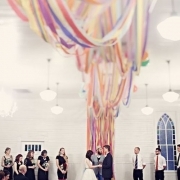 Discover how to build a wedding arch.